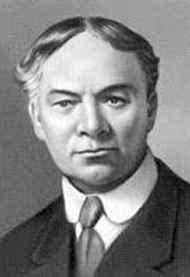 Jerome Klapka Jerome was born in Walsall, Staffordshire, England on May 2nd, 1859, the son of a preacher and coal mine owner. Leaving school at the age of fourteen after his mother's death, Jerome worked such diverse jobs as a railway clerk, a journalist, and a schoolmaster. Though also an actor, playwright, and editor, Jerome found fame through his writing. His first book, On Stage and Off, was published in 1888. He continued to publish works, including the famous morality play, The Passing of the Third Floor Back (1907). Other works include The Diary of a Pilgrimage (1891), Novel Notes (1893), The Second Thoughts of an Idle Fellow (1898), Three Men on the Bummel (1900), Paul Kelver, a novel (1902), Tommy and Co (1904), They and I (1909), and All Roads Lead to Calvary (1919). A comedic look at the life of the upper-crust in 1800's England. An account of a trip that Jerome, two friends, and a dog named Montmorency took up the River Thames.